Over 10 years ago my brother and I went to Costa Rica to visit my sister who was studying there. 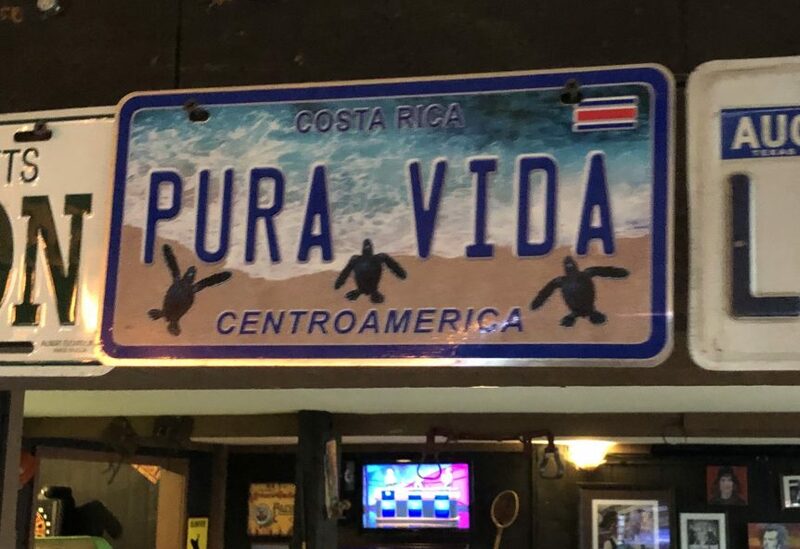 I wasn’t thirty feet into the airport before I saw and heard the expression “Pura Vida.” It translates to “simple life” or “pure life” and the longer we were there, the more it became clear that it was not just a saying, but rather a way of life. It’s an upbeat and optimistic outlook that starts the moment your feet hit the floor in the morning. About one week into the trip I had an epic meltdown. The ATM ate my debit card, I couldn’t speak Spanish enough to ask for help, was starving and without enough money to even use a computer in the internet cafe to email my bank. All this while my siblings were taking their sweet time arguing over souvenirs. I think they were arguing in Spanish too, just to rub it in. They did eventually feed me, but Pura Vida…it was not. Money can be an enormous source of stress and it weighs differently on everyone. I feel the most weight around tax time every year. No matter how prepared I am to make a last minute IRA contribution or to finally write the government a check, the uncertainty of it all weighs on me. Pura Vida…or at least I do my best! Next time you’re stressing over money, for whatever reason, try and remember Pura Vida. If that doesn’t work, then call us!